After Pierre Morel was brought in to direct Dune for Paramount Pictures it was assumed that he would hire a new writer for the project, due to the fact he doesn't want to direct the script that was written for Peter Berg when he was going to direct the film. Chase Palmer has been brought in to implement Morel's ideas into the original screenplay written by Josh Zetumer. Morel, who directed Taken and From Paris With Love, is looking to stay as close to Frank Herbert's classic 1965 novel as possible. Palmer has no prior feature film writing credits, but someone thinks he's got talent, so lets see what he's got. Not a bad film to start a career with though. 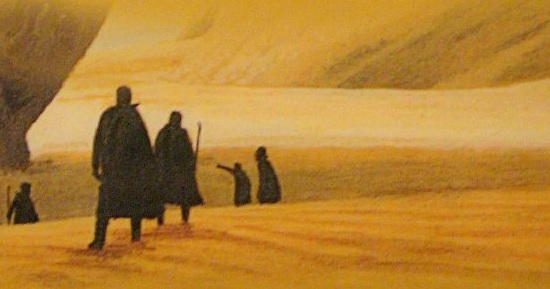 Kevin Misher and Richard Rubinstein are producing the new Dune film, which they hope will spark a franchise. Morel is a huge fan of the Dune novel so I have a feeling this movie is going to be a solid film adaptation.